Toyota Achieves Best January Sales in 10 Years! Toyota has hit the ground running in 2018 with the HiLux reaching record numbers in January! Market leader Toyota has opened its 2018 scorecard in emphatic style by achieving its best January sales in a decade, according to official figures released today. 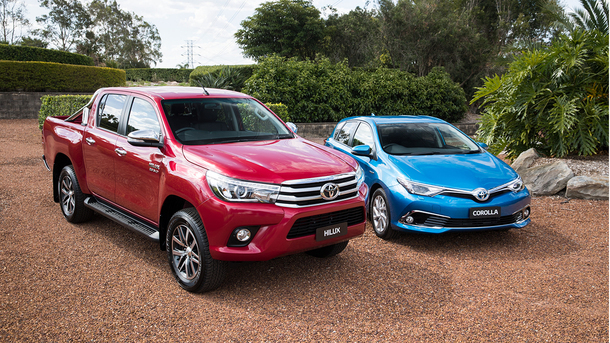 Toyota's 10-year January high of 15,306 new-vehicle sales included record first-month deliveries of the top-selling HiLux, reinforcing its position as Australia's best-selling vehicle. Toyota's tally was the strongest January result for the brand's local dealers since 2008 - and a gain of 21.9 per cent over the same month last year. LandCruiser Prado also joined the January record-breaking with 1,169 vehicles sold, up 10 per cent on January 2017, ensuring Prado maintained its leadership of the large SUV segment. Other segment leaders for Toyota were Camry, LandCruiser wagon, HiAce van and HiAce bus.